Prof. Ilga Salīte from the Faculty of Education and Management (Daugavpils University) takes part in the kick-off meeting and the first planning seminar of the Erasmus LLP project “ICT-enabled Education for Sustainable Development” which was held at the University of Crete in Greece (November 22-24, 2010). Following the start-up of a new Erasmus LLP project “ICT-enabled Education for Sustainable Development” (510212-LLP-1-2010-1-GR-ERASMUS-EV) in October 2010, the dean of the Faculty of Education and Management (Daugavpils University) took part in the kick-off meeting and the first planning seminar of the project management group. 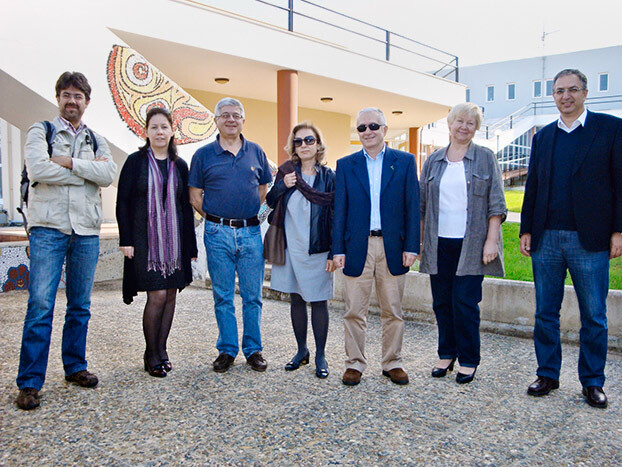 The project “ICT-enabled ESD” is lead by the team from University of Crete (Greece), while other project partners involve Daugavpils University (Latvia), Dublin City University (Ireland), Frederick University (Cyprus), University of Graz (Austria), Open University of Cyprus (Cyprus) and Uppsala University (Sweden). One of the main aims of the project is to create a new joint, international and virtual Master programme for students interested in the fields and processes of ICT and ESD. Together with other project partners, prof. Salīte discussed the main aims and objectives of the project, the work packages and conditions for their fulfilment, as well as the expected project outcomes.